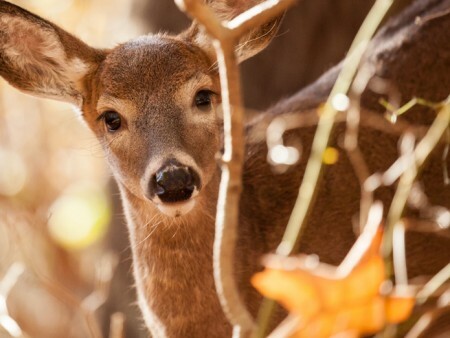 COLUMBUS, Ohio — What’s a city to do about deer? Bats? Loose-running cats? Experts will discuss answers at the Ohio Community Wildlife Cooperative’s annual conference, set for Nov. 8 on The Ohio State University’s Columbus campus. The event, geared toward city officials, community leaders and others who manage conflicts between people and wildlife, will have nine sessions on topics including the status of white-tailed deer in Ohio, keeping bats healthy and out of belfries, or at least people’s homes, and the sometimes-heated issue of feral and free-ranging cats. Keynoting the event will be Peter Marra, co-author of Cat Wars: The Devastating Consequences of a Cuddly Killer (2016, Princeton University Press), who will speak on feral cats in Ohio and then will join a panel discussion on the topic. Marra is head of the Smithsonian Migratory Bird Center, part of the National Zoo in Washington, D.C.
Forbes.com called Cat Wars one of the 10 best conservation and environment books of 2016. Conference co-organizer Marne Titchenell, wildlife program specialist in CFAES’s College of Food, Agricultural, and Environmental Sciences (CFAES), said feral cats may spread diseases such as toxoplasmasis, have been shown by research to hurt songbird and other wildlife populations, and are at risk themselves from dangers like coyotes. “I get complaints from homeowners about feral cats running around their yards, digging around in the landscape and using mulched areas as a litter box. They want to know how to keep them out,” said Titchenell, based in CFAES’s School of Environment and Natural Resources (SENR). And while many cat lovers support efforts to trap, neuter and release feral cats, others say cats in general have a right to be outside and shouldn’t be bothered, she said. Also at the conference, Mike Tonkovich, deer program administrator with the Ohio Division of Wildlife, will report on the size and health of Ohio’s deer herd, and Geoff Westerfield, assistant wildlife management supervisor with the division, will share survey techniques for deer. Many Ohio communities are facing deer overpopulation problems, notably overbrowsed plants and deer strikes by cars. J.C. Griffin, wildlife biologist with the Wildlife Services program of the U.S. Department of Agriculture’s Plant and Animal Health Inspection Service (USDA-APHIS), will discuss the behavior of Ohio’s once-endangered native bobcat, whose numbers and range are starting to rebound, especially in the less-populated southeast part of the state. Eric Arnold, editor of Sharon Center-based WCT Magazine, which covers the wildlife damage control industry, will present “The 6 Steps to Bat Exclusion,” featuring ways to keep bats out of houses, offices and the like. And a good time to do that, she said, is right now: in fall and heading into winter. That’s because excluding bats from a building means blocking their entry and exits points, and doing that in spring or early summer could cut off recently born bats from their mothers — the young bats blocked inside, the mothers outside. It’s a bad situation for both the bats and the homeowner, Titchenell said. A complete list of the conference’s topics and speakers is available online at go.osu.edu/OCWC17. Registration and other details are at that link, too. Registration, which includes continental breakfast, lunch and an information packet, is $35. The event is from 9 a.m. to 4 p.m. in the university’s Nationwide and Ohio Farm Bureau 4-H Center, 2201 Fred Taylor Drive, in Columbus. The Ohio Community Wildlife Cooperative is a partnership among CFAES, the Ohio Division of Wildlife, USDA-APHIS, the Great Parks of Hamilton County, the Lake Erie Allegheny Partnership for Biodiversity, the City of Dublin and the City of Cleveland Mayor’s Office of Sustainability. Marra also will speak at Ohio State on Nov. 7 as he headlines the monthly breakfast program by SENR’s Environmental Professionals Network. The event is open to the public, but there’s a $10 registration fee. Registration for Ohio State students is free. Details are at go.osu.edu/Nov17EPN.